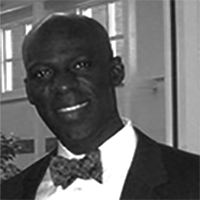 Reginald Holley, Principal and founder of The Longmire Group, has eighteen years of progressive experience in Local, State and Federal government agencies and political experience. Holley has a proven ability in providing leadership in managing senate and state affairs, advising on matters of policy, legislation and public services. He is a registered lobbyist with the State of North Carolina. Holley has previously served as Deputy State Director for the Honorable United States Senator Elizabeth Dole. He served as a liaison on behalf of Senator Dole with members of Congress, Senators and their respective staff; State legislators and other elected officials. In addition, Holley is the former Director of State Youth Council for the North Carolina State Department of Administration. There, he developed policies and procedures for promoting youth involvement in leadership in government, civic affairs and local communities. Holley is a graduate of the University of North Carolina at Chapel Hill with a Bachelor of Arts in Political Science. He is a member of the Order of the Old Well and is a former Student Body Vice-President. Board Memberships and Honors include Board of Visitors, School of Environment, University of North Carolina at Chapel Hill; United States Commission on Civil Rights, North Carolina State Advisory Council; Judicial Performance Evaluation Committee, North Carolina Bar Association.